As a native Houstonian, there is not an area of the beautiful city of Houston I do not know about. 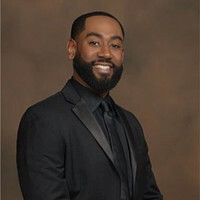 My Bachelor’s degree in Finance and Master’s in Community Development, both from Prairie View A&M University equips me with the aptitude to better guide clients through the financial aspect of the real estate process. Equally important, my Community Development studies have aided me in my knowledge of what makes a viable community. I enjoy giving back to the city of Houston by working with the youth as an educator with Houston Independent School District. I am a dedicated to providing and meeting the needs and desires of all.